Thanks to anti-vaccine misinformation, the rate of vaccination against the measles has dropped slightly. Problematically, the decline in vaccination isn’t evenly distributed across the country, pockets of unvaccinated occur in various locations, where just a child who picks up the disease in a foreign country can quickly spread it through a community. Most recently, a young blogger with the nom de plume of Megan, who has a remarkable gift for getting things wrong, wrote a post entitled, This Mama Isn’t Scared of the Shmeasle Measles. The short version of her babbling, incoherent post is that the she claims the measles vaccine is more dangerous than the disease. There are a lot of bad anti-vaccine articles out there, thus, I have to pick and choose the ones I refute, because it would be a 24/7 job. Megan’s article usually would not deserve attention, because it truly has not one accurate point in it. However, because anti-vaccine cultists lack any evidence to support their claims, they support their claims from fiction and lies from a circular, self-referrring system of false claims about vaccines. Just keep repeating a lie enough times, and it becomes the truth. So, let’s begin with the author Megan herself, about whom I’ve previously written regarding her whiny privileged white girl persecution complex. Oh, and Orac deconstructed her victimization too. One more thing, Liz Ditz mentions that Megan is really Megan Heimer, who’s been blogging balderdash for quite a while. Megan claims to have a degree in Political Science, a law degree, and is a naturopath. I’m sure having a political science degree (and for those who don’t know, political science is not a natural science, one that includes studying diseases and immune system) makes one quite capable of discussing why Congress is ineffective. And a law degree helps you understand the law. But neither give you any knowledge of real science. Maybe she took one or two courses in biology or something, but that hardly means your the equivalent of a world class researcher in immunology. It makes you capable of washing glassware in a world class laboratory, but probably not. She does claim to be a “naturopath,” which doesn’t mean much by itself. There is an official degree, called Naturopathic Doctor (ND), that includes a formal education in naturopathy, though it’s cruft of the highest order. There are people who claim they are “naturopaths” without any formal education or licensing (some states license ND’s like they’re doctors, a frightful development). I would assume since Megan brags about her degree in political science and her law degree, she’d be also be bragging about her ND, which she doesn’t, so I can only presume she is merely describing herself as a naturopath, but she was too lazy to do the pseudoscience of an ND degree (I mean that’s borderline pathetic). Irrespective of whether she has formal ND degree or not, naturopathy is simply gobbledegook–it depends on pseudosciences like homeopathy, which is just water, vitalism, and germ theory denialism. There is absolutely nothing in naturopathy that has any basis in real science. The myths of naturopathy have been debunked over and over again. There’s no sense in actually spending time on that, because others, like David Gorski, have done it so well. But the true despicable nature of naturopathy is their unscientific and unethical dismissal of the value of vaccines. Children getting care from naturopaths have lower vaccination rates and much higher risks of vaccine preventable diseases. In fact, according to Downey et al. (2010), children under the care of naturopaths have a 67% higher risk of contracting a vaccine preventable disease than do children in the care of an MD with a real background in medicine. Thus, before I can spend a nanosecond ripping apart Megan’s bogus, ignorant and uneducated claims, it’s hard to get beyond the fact that she practices a form of alternative medicine that causes nearly double the rate of preventable diseases. How can anyone trust someone with that level of callous disregard for the health of children? o Megan’s husband, since he was a general practitioner in the US Air Force probably vaccinated hundred or thousands of airmen and officers. And he was vaccinated too. So, Megan’s hypocrisy is limitless. [infobox icon=”quote-left”]If you’ve been watching the media, subscribing to anti-vaxxer hate articles, or just so happen to come across the World Health Organization statistics, you’ll see that 122,000 people die from measles globally each year. Scary right? Yet, on that same MMWR report the CDC lists the clinical definition for measles as “an illness characterized by a generalized rash lasting ≥3 days, a temperature of ≥101°F [≥38.3°C], and cough, coryza, and/or conjunctivitis.” In other words, a rash, cough, and fever is how measles typically presents at the doctor’s office here in the United States, and this is the clinical definition used on all of their reports and surveillance data. Do you know how many people die each year from measles in this country? About zero. For every 1,000 children who get measles, 1 or 2 will die from it. Measles also can make a pregnant woman have a miscarriage, give birth prematurely, or have a low-birth-weight baby. So what Megan has done here is dismiss the disease as minor because she creates a false dichotomy that either the child dies or gets a little rash and fever. But the fact that she ignores, because she lacks any education in medicine or science, is that it’s not all about mortality. It’s about the 5% who catch measles, then go to the hospital for pneumonia. Or it’s the 0.1% who get encephalitis. Or it’s a pregnant woman who has a worse fetal outcome because of the measles. But you know what Megan really disregards? It is the basic fact that vaccines have mostly conquered measles. And so she is protected from hearing about 1000 babies dying in the USA from measles, because we simply don’t have that many cases of measles, because we “mostly” defeated it with vaccines. Because the herd immunity against measles is still strong, epidemics don’t get a chance to get going, so even this year, there’s 397 cases with no deaths. Given the 1-2 out of 1000 cases death rate, the odds just haven’t caught up yet (not that odds work like that, I do have a strong math background). But here’s the thing that Megan ignores, because her callousness towards measles has blinded her–about 11% of those cases required hospitalization, including intensive care to save the child. Does Megan want children to end up in the ICU or NICU because “measles doesn’t kill?” What an insane, immoral belief. 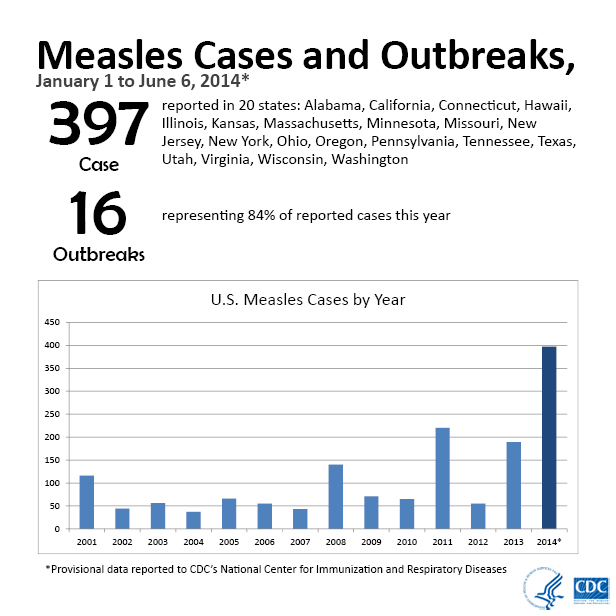 [infobox icon=”quote-left”]So far, in 2014 there have been 288 (actually 397, but who’s counting) cases of measles, no cases of encephalitis, and no death. In 2013 there were 189 cases of measles, no encephalitis and no death. In 2012 there were 54 cases of measles, no encephalitis, and no death. In 2011, there were 22 cases of measles, and you guessed it…no encephalitis, and no death. I could go on, but you get the point. By and large, measles is unpleasant, not deadly. This is an absurd, absolutely inane, comparison. Only someone who is utterly irresponsible or ignorant of simple mathematics would make such a comment. Since the 397 cases are in a smaller population pool of unvaccinated individuals (only 10% of those who contracted measles were previously vaccinated), so about 350 of those individuals came out of the much smaller pool of unvaccinated Americans. Let’s say 15 million Americans are not vaccinated against the measles, so the risk for them is about 2 out 100,000. Small, but significant. Now, Megan decided to use the VAERS system of vaccine injuries, which for the real world, is a passive, ineffective measurement, and, according to the VAERS website itself, “when evaluating data from VAERS, it is important to note that for any reported event, no cause-and-effect relationship has been established.” Megan is using a seriously flawed system to account for adverse effects. VAERS only usefulness is as a radar system for potential vaccine issues that need to be analyzed for causality. And most of the stuff reported to VAERS would never pass the sniff test of causation. Let’s find a better resource for the risk of serious adverse effects from MMR vaccines. The United States Institute of Medicine (a part of the National Academies of Science, the world’s most prestigious scientific academy), a respected group whose experience in immunology, pathology, virology, public health, microbiology, medicine and other biomedical disciplines and whose knowledge and intellect far outweighs Megan’s political science degree,* has published an extensive analysis of adverse effects of related to the MMR vaccines. The Institute of Medicine not only reviewed the published clinical evidence, but also reviewed plausibility (that is, is there a reasonable physiological pathway between the vaccine and a claimed adverse event). These researchers, the top of their profession concluded the following–of all of the adverse events reported, only inclusion body encephalitis (and that’s only with individuals who are immune-compromised), febrile seizures (which are short-term seizures brought on by high fevers), anaphylaxis (a serious allergic reaction), and arthralgia (any type of non-inflammatory reaction to a medication) were reported to have a causal relationship to the MMR vaccine. That’s it, mostly minor, including febrile seizures (which sounds scary, may appear to be scary, but really isn’t scary). The Institute of Medicine, who included individuals who weren’t too lazy to obtain a Ph.D. in immunology after partying through a bachelor’s degree in political science, stated there was no evidence supporting causality of almost all of the claimed adverse effects found in VAERS. 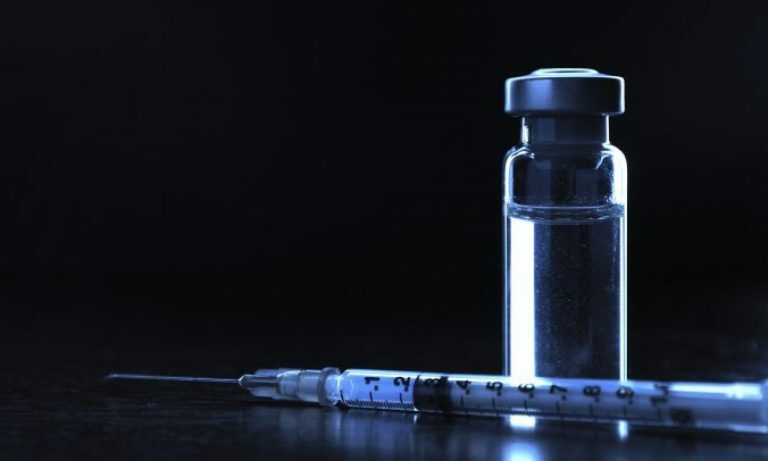 In fact, for autism and Type 1 diabetes, they said the evidence rejects the hypothesis that either of those two conditions were related to the MMR vaccine. Look what Megan has done here. She cherry picks through VAERS, which cannot show you anything, to find adverse events that have been rejected as being caused by MMR by a group of scientists who have knowledge, research and training far beyond a naturopath, who has no training, scientific knowledge, or research. So she wants you to believe her invented numbers, ones that have all the scientific foundation as her belief in homeopathy, somehow overwhelm the small number of measles complications. But let’s assume that VAERS actually gave us real data. What Megan still ignores is that if the country stopped vaccinating against measles, within a year or two, 5-10 million children will catch it (because it’s so contagious). And out of those children, how many will die? 10,000? 20,000? And the cost to the country will be overwhelming. You see, here’s the thing. Megan, in her narcissistic little world, gets to hide behind the herd effect, then pronounce, ignorantly and inaccurately, that MMR is evil. Measles are harmless. Based on no science whatsoever. It’s Megan inventing stuff again. I mean, I don’t know how much I can take. But I shall persevere. Megan –but if my child gets measles…they could die. Given U.S statistics, they’re more likely to die from the MMR vaccine. Skeptical Raptor – Megan, that is simply a lie. There is no correlation or causality between MMR vaccine and death. NONE. Moreover, in your narcissistic conversation with yourself, you continue to conflate morbidity with mortality. There are terrible consequences of measles that do not include death. Megan – but the measles vaccine has prevented so many deaths. Wrong. Skeptical Raptor – Megan, that’s actually another lie. We have boatloads of evidence that vaccines have prevented morbidity and mortality from measles. We don’t have to look back 100 years, we can look back 20–measles cases dropped from 55,000 in 1991 to 189 in 2013. This happened because of the Vaccines for Children Program. Skeptical Raptor – no Megan, it is simply unethical and immoral to do a double blinded study with vaccines. This shows your utter incompetence and immaturity in bioethics, immunology, virology and every other field of science. Your ignorance knows no bounds. You cannot force people into the placebo arm, because you’re withholding an immunization that could save their lives. And are you going to volunteer for this study, in which your child may be in the vaccinated group? No, you can’t choose, it invalidates the double-blind nature. But you didn’t know that because you are a simpleton. Megan – But if you don’t vaccinate, my baby who is too young to be vaccinated will be at risk. Absolutely not true. What puts our babies at risk is the waning immunity that comes from a highly vaccinated population. You know what would give your baby a good dose of protection for the first year of their life? You guessed it, a mother whose been exposed to wild measles who then passes on these antibodies to protect her baby for the first year of life. Skeptical Raptor – no Megan, this is bad science, along with a big dose of lies. There is simply no difference between the immune response to a vaccine and to a wild virus. Well, there is one difference. Here’s a little education about pathogens – a pathogenic bacteria or virus causes harm to the host before it can develop an immune response. That’s how pathogens work. That’s how they’ve worked for 2-3 billion years, ever since the first pathogen attacked the first cell. A vaccine provides all of the antigens of the bacteria or virus, inducing an adaptive immune response. Except without that nasty pathogenic attack that harms the child. [infobox icon=”quote-left”]Here’s a nerdy metaphor (because, yes, we’re nerds). Think about a video game that allows you to do a practice round. You figure out the controls while playing against the computer on a very easy setting, before attempting to take on a far more powerful opponent in the game itself. So, there you go. The only real way to build an immune response is through vaccines. And one more thing Megan. The mother does pass IgA immunoglobulins through the breast milk to the baby. But the baby doesn’t start manufacturing copies of that IgA, and it really only protects against pathogens in the gut, it won’t do much for measles, which is transmitted through respiration. And no, the IgA molecules don’t miraculously enter the baby’s bloodstream, flow to the lungs and attack the measles virus there. That’s not how IgA works. It can’t get transported from the gut to the bloodstream. You should know this basic science. But you don’t. I’m going to make this simple. There is NO evidence whatsoever, which were examined in 100’s of peer-reviewed studies, costing billions of dollars (which could have been spent on community based systems to help families with autistic children), that vaccines, including MMR, have caused any cases of autism. NONE. And given the extraordinary danger of a mass epidemic of measles, if everyone thinks like Megan, it far outweighs the precious few adverse events that have been established by real scientists, those who decided not to be an intellectually deficient individual like Megan. Moreover, Megan goes out of her way to belittle “shmeasles measles” (by the way, a fairly lame subversion of Yiddish, but that’s never going to be my point), while simply ignoring history, epidemiology and modern medicine. I do not ascribe to the Argument from Authority, where someone attempts to win an argument based on their comparative authority in an area. However, if you are an immunologist, published dozens of articles in peer-reviewed immunology journals, and are considered one of the leaders in immunology, your comments outweigh a empty-headed political science major named Megan. Also, special thanks to Dorit Rubinstein Reiss who wrote most of the first few paragraphs to this article, since I was having some major writer’s block! Downey L, Tyree PT, Huebner CE, Lafferty WE. Pediatric vaccination and vaccine-preventable disease acquisition: associations with care by complementary and alternative medicine providers. Matern Child Health J. 2010 Nov;14(6):922-30. doi: 10.1007/s10995-009-0519-5. PubMed PMID: 19760163; PubMed Central PMCID: PMC2924961. Gastañaduy PA, Redd SB, Fiebelkorn AP, Rota JS, Rota PA, Bellini WJ, Seward JF, Wallace GS; Division of Viral Disease, National Center for Immunization and Respiratory Diseases, CDC. Measles – United States, january 1-may 23, 2014. MMWR Morb Mortal Wkly Rep. 2014 Jun 6;63(22):496-9. PubMed PMID: 24898167.